Toe jack has overload protection valve can prevents damage; Stable and safe when working; lifting heavy duty loads with toe or with top plate. 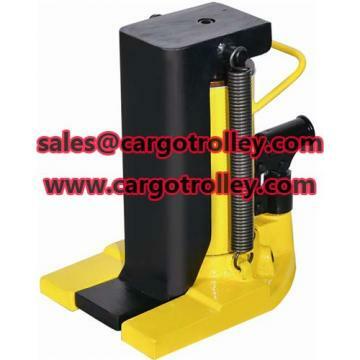 Hydraulic jack have three height where the toe parts can be put on, can adjusting the lifting toe height. Compact and heavy duty structure, easy to transport and beautiful. Normally, hydraulic toe jack use the toe parts to lifting the heavy duty loads. Revolving toe jack the toe part, bottom of the revolving toe jack, the operate bar and the head part can be veered flexible. Toe jack capacities from 2.5 tons to 100 tons. The toe part capacity is half of head part. 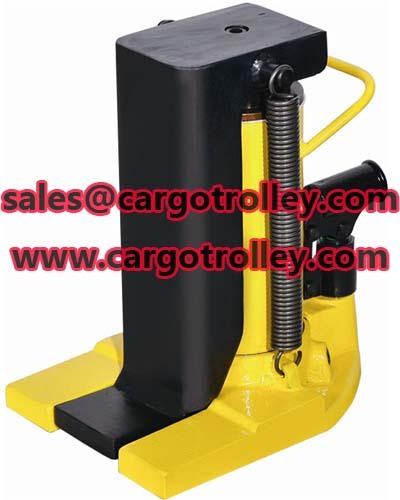 Regarding hydraulic toe jack price list, lifting toe jack advantages, toe jacks applications, lower toe jack pictures, please kindly feel free contact with us. Professionally service hope will get your satisfaction.